Your Wizard of Oz costume will really rock with these Witch Socks. 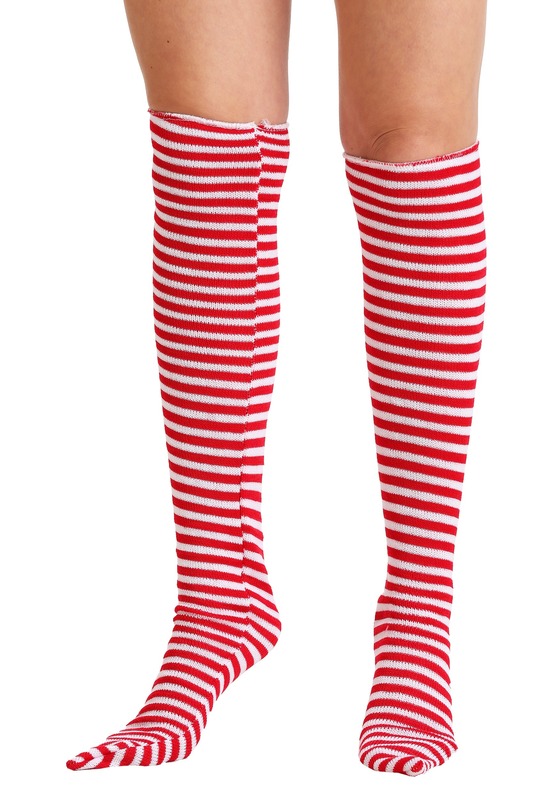 The red and white alternating stripes socks measure at 28” and are made of a soft, comfortable material. The rim of the socks has an elastic band to keep them from sliding down your shin. Complete your Wicked Witch costume with these ladies one size fits all Witch Socks.